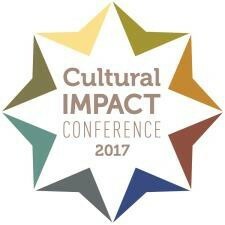 WHAT: “Resiliency and Healing in the Aftermath of Violence in Marginalized Communities” Cultural Impact Conference. Presented by The Chicago School of Professional Psychology, a leading nonprofit graduate university devoted exclusively to the study of psychology and related behavioral health services, the conference will focus on violence in marginalized communities as a by-product of structural racism and will explore how various allies (e.g. mental health providers, community advocates, business and legislative leaders, educators and students) can work together to help promote individual and community empowerment through their efforts towards social justice. WHEN: March 17, 8 a.m. to 5 p.m.
To confirm media attendance: [email protected]. Please respond by March 15. Founded in 1979, The Chicago School of Professional Psychology (TCSPP) is a nonprofit, private university devoted exclusively to psychology, and related behavioral health services. The Chicago School is an affiliate of TCS Education System, a nonprofit system of colleges advancing student success and community impact. The university serves nearly 4,300 students across campuses in Chicago; Southern California (Los Angeles and Irvine); and Washington, D.C., as well as through online programs. Our San Diego Campus will open in fall 2017.The Chicago School is accredited by the WASC Senior College and University Commission, (WSCUC), and its Clinical Psychology Doctoral programs in Chicago and Washington, D.C. are accredited by the American Psychological Association. With more than 20 graduate degree programs, thousands of hours of real-world training, and a wealth of international opportunities, TCSPP is the leader in professional psychology education. To learn more, visit www.thechicagoschool.edu.